Bhairav is a fierce manifestation of Shiva and is a deity who protects villages, homes and devotees in Hinduism. 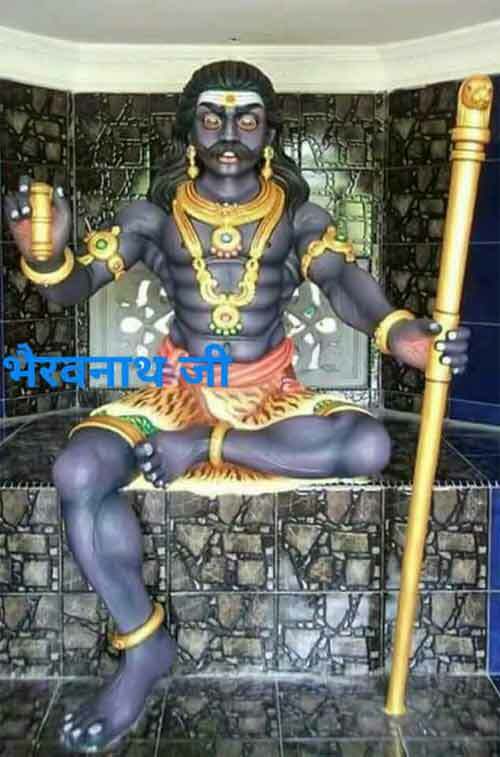 Here is a powerful Bhairav mantra to achieve success, to get good job, to find sudden wealth at the earliest and to change luck in love related matters. The mantra has to be chanted for 41 days, starting from a Krishna Paksha Ashtami Tithi – eight day during the waning or dark phase of moon. The mantra should be chanted 7 times. How to Chant Powerful Bhairav Mantra? Wake up early in the morning and take bath. Visit a Kal Bhairav temple and take blessings. The prayer should be chanted at midnight on the day around 11:30 PM to 12:30 AM. Wear red or black color clothes. Meditate and offer prayers to Shiva. A mantra to be effective, one needs to have utmost concentration. A person should not sit idle after chanting the mantra. The person should work hard with determination to achieve the desired goal.